The client was looking to elevate the brand image with a new concept that was very different from a standard supermarket solution. This began with a trial site at the St Katherine Docks. 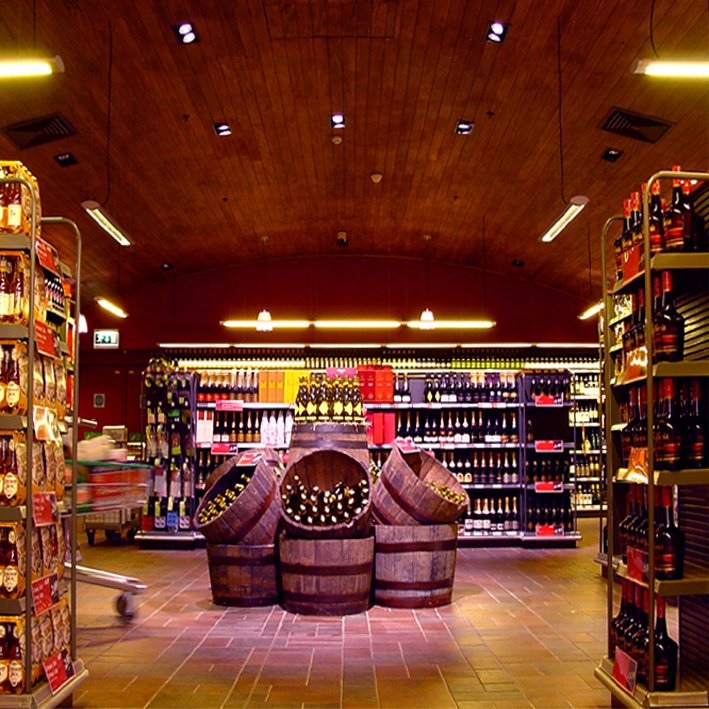 The scope for lighting included: aisles, cosmetics, wine shop, fish counter, cash desks and a new food-to-go offer. 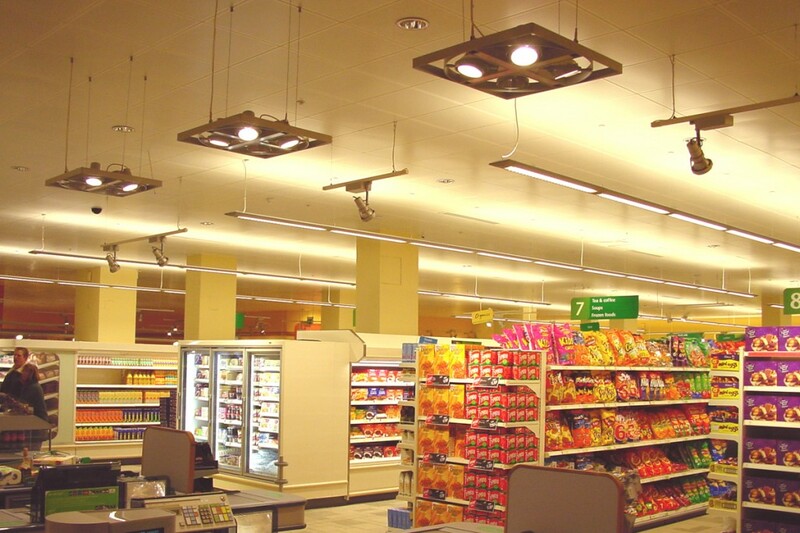 The lighting was to clearly zone the store into different areas by changing the light levels, warmth of lighting, proportion of accent and style of light fittings. The new food-to-go deli had inviting theatrical spotlighting in contrast to dark floors in front. 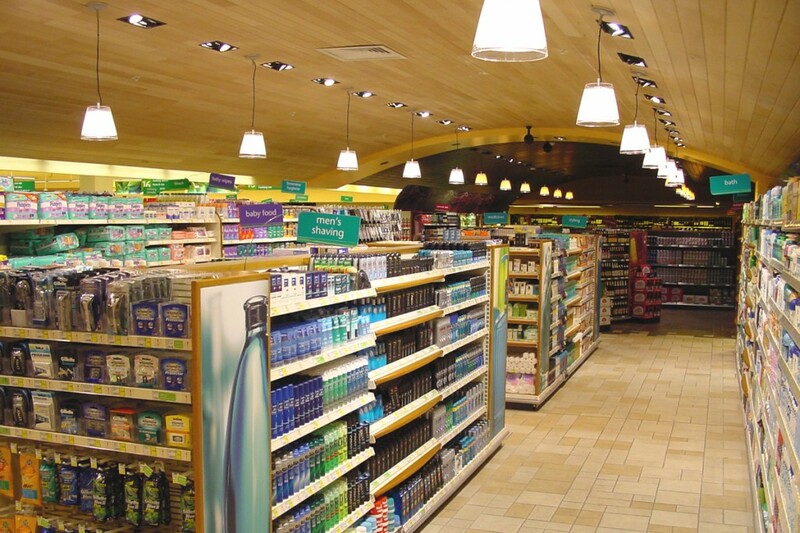 Gondola aisles had suspended linear fluorescents with wide optics ensuring strong vertical illumination on shelves. 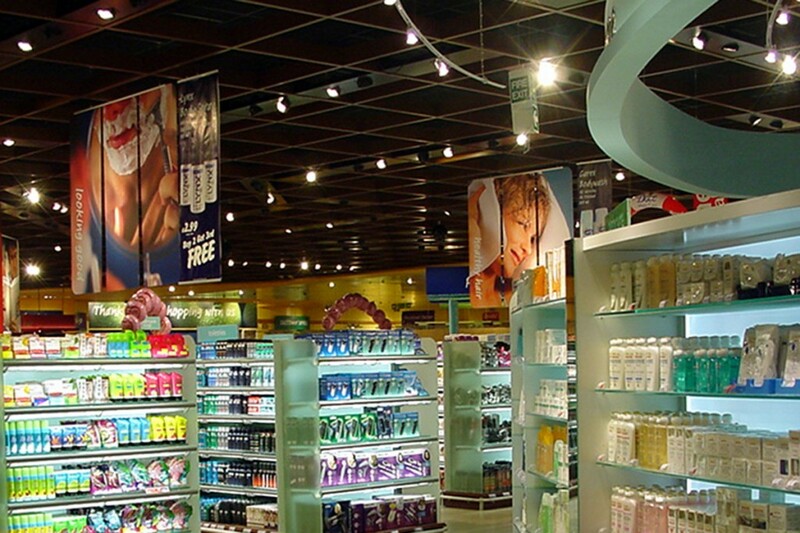 Cosmetics aisles had cool white lamps with integral shelf lighting details. The wine shop had localised warm white lighting with amber gel sleeves. 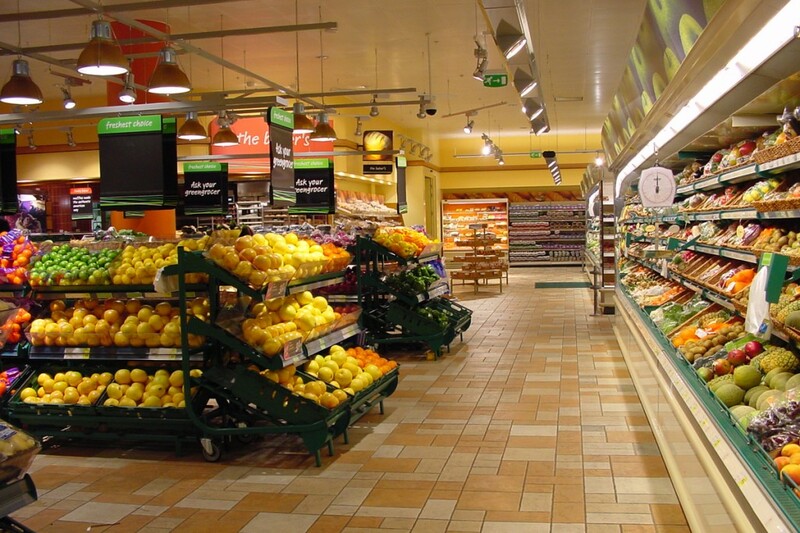 Into was able to work with Safeway and the design team to roll-out an approved scheme across a number of stores, where it was well received by customers. The improvements were part of a larger project leading to the eventual sale of the company.